Draft: 2006, Arizona Diamondbacks, 13th rd. John G. Hester...Attended Stanford University from 2004-06, where he was ranked as the fourth-best catcher by Baseball America prior to his senior season, going on to lead the Cardinal to the College World Series and being named the Cardinal's Most Inspirational Player...Graduated from Marist High School in Atlanta...Played baseball and football...Named to the all-county team three times in baseball and twice in football, as well as the all-state team for baseball his junior and senior years...Originally selected by the Boston Red Sox in the 34th round of the 2005 draft before returning to Stanford. Spent a majority of the season with Triple-A Salt Lake...Hit .237 (60/253) with eight home runs and 29 RBI with the Bees…The eight home runs were his highest total since 2009 (w/ Reno)...Hit four of his eight home runs in 10 games in May... Batted .260 (44/169) before the Triple-A All-Star break compared to .190 (16/84) in 25 games after... Recalled by the Angels on Sept. 9...Appeared in one game for the Halos…Entered the game on Sept. 16 as a pinch-hitter in the 8th inning and played the remainder of the game as the Halo catcher…Marked first big league appearance since Sept. 14, 2012 @ KC. 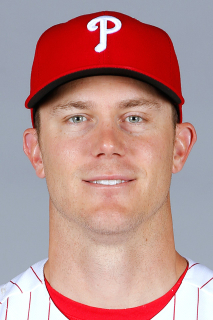 Hit .212 (18-for-85) with a career-high three home runs and four RBIs in 39 games with the Angels...Marked first Major League action since the 2010 campaign with Arizona...The 39 appearances were a career best and came over two stints with the club...Halo hurlers fashioned a 3.97 ERA with him behind plate, second on club only to Iannetta (3.90)...Connected for third HR of season on June 29, setting a new single-season career high...Hit .295 (13-for-44) while collecting all three home runs and four RBIs in June...Collected a career-high three hits on June 26...Hit .217 (20-for-92) in 26 games with Triple-A Salt Lake this season with four doubles, two triples, three HRs and 13 RBIs...Signed with the Halos as a Minor League free agent on April 23...Joined Triple-A Salt Lake the following day...Began the season with Triple-A Norfolk (BAL) before being released on April 20. Began the season with Triple-A Reno (ARI), batting .263/.326/.421 with a HR and 5 RBI...Sent to O's organization on April 30 as the PTBNL in the Reynolds for Hernandez/Mickolio trade from December 6, 2010...Joined Triple-A Norfolk, where he batted .251/.324/.341 in 82 games with the Tides...Collected 19 multi-hit games for Norfolk, including a season-high three on May 21 vs. Louisville...Drove in season-high three on July 3 vs. Charlotte...Hit .311/.378/.419 in 22 games (74AB) batting ninth. Split time between Triple-A Reno and the D-backs before assuming back-up catcher duties on July 31...Hit .370 (51-for-138) with 12 doubles, 4 triples, 7 homers and 29 RBI in 37 games in 2 separate stints with the Aces...Saw action in a career-high 38 games in the big leagues, batting .211 (20-for-95) with 9 runs scored, 7 doubles, 2 homeruns and 7 RBI...made a combined 26 starts behind the plate over his 2 stints with the D-backs...Hit .333 (3-for-9) with a double, home run and 2 RBI in 2 games with the Aces before being recalled on April 11 whenMiguel Montero was placed on the disabled list...Stole his first career base on May 17 @ Marlins...hit safely in 3 of his first 5 games (.357, 5-for-14) from April 11-25...Hit .188 (9-for-48) with 3 doubles and 3 RBI in 18 games with the D-backs before being optioned back to Reno onJune 12...Named the organization's Player of the Month for July after batting .427 (35-for-82) with 7 doubles, 3 triples, 6homers, 22 RBI and a 1.289 OPS in 21 games at Reno, while also reaching base safely via hit or walk in 19 of thosegames...Collected a season-high 4 hits and 5 RBI on July 3 @ Las Vegas...Hit safely in a season-high 7 straight games from July 9-18, batting .464 (13-for-28) with 2 doubles, 2 triples, 2 homeruns and 3 RBI in those contests...Recalled from Reno on July 31 following the trade of Chris Snyder to the Pirates to become the back-up catcher forthe D-backs...Hit safely in a season-high 3 straight games (.400, 4-for-10) from June 8-Aug. 1...Hit his first home run of the season on Aug. 1 @ Mets...also homered on Sept. 5 vs. Astros. Posted a solid Triple-A season at the plate and behind the dish that culminated with his first trip to the Majors, appearing in 15 games for the D-backs... Named as the catcher for the Pacific Coast League posteason All-Star Team... For the Aces, compiled a .441 average (45-for-102) and 1.344 OPS when getting ahead in the count... Hit .329 (53-for-161) with 12 doubles, 2 triples, 6 home runs and 63 RBI with runners on base... With runners in scoring position, batted .352 (38-for-108) with 5 doubles, 2 triples, 6 homers and 61 RBI, including a .467 (7-for-15) mark with 2 grand slams, 20 RBI and a 1.367 OPS with the bases loaded... Cut down 24 of 81 attempted basestealers (29.6%), the fourth-best percentage in the PCL... His 26-game home hitting streak, during which he batted .413 (45-for-109), from May 11-Aug. 2 tied for the longest streak in the PCL... Reached base in 31 home straight games from May 11-Aug. 17, batting .409 (52-for-127) with 11 walks, the second-longest streak in the PCL... Hit a grand slam on April 20 off of Salt Lake's Anthony Ortega and June 4 off of Tacoma's Tyler Johnson... Clubbed 2 home runs on July 20 vs. Portland... Had a season-high 5 RBI on Aug. 14 vs. Round Rock.. Had a season-high 4 hits on June 5 @ Tacoma, July 29 vs. Tacoma and Aug. 14 vs. Round Rock... Reached base via hit or walk in 17 consecutive games from July 3-26, hitting .406 (28-for-69) with 7 doubles, 4 triples, 3 home runs, 14 RBI and 7 walks while collecting at least 1 hit in 16 games... Had his best month in July, posting a .395 average (34-for-68) with 8 doubles, 4 triples, 4 home runs, 19 RBI and 1.168 OPS over 23 games, hitting safely in 19 games... Selected from Triple-A Reno on Aug. 28... Made his Major League debut on Aug. 28 vs. Astros as a pinch hitter in the sixth in¬ning and clubbed a 2-run homer off of Wilton Lopez...became the third player in franchise history and 101st player in Major League history to home in his first plate appearance...teammate Gerardo Parra also did it on May 13 vs. Reds, making the D-backs the first team to have two players in one season hit a home run in their first at-bat since the Cardinals in 2000 (Keith McDonald and Chris Richard)... Had a career-high 2 hits on Aug. 30 vs. Astros and Sept. 21 vs. Giants. Threw out 24 of 80 baserunners attempting to steal, ranking the fourth among catchers in the Southern League...Connected for 3 home runs in four days from Aug. 5-9, including a 4-RBI game on Aug. 5 @ Jacksonville...Drove in 7 runs in 3 games from July 3-5, collecting 3 doubles and 2 home runs in that span...Hit .330 (38-for-115) from June 1-July 30 with 10 doubles, a triple, 4 home runs and 17 RBI. Reached base safely in 17 consecutive games from April 5-May 3, including a 10-game hitting streak from April 18-May 3...Batted .333 (12-36) with 4 doubles, 1 triple, 1 home run and 10 RBI during the hitting streak...Connected for 2 home runs and 6 RBI on June 2 at Lancaster. Had a 10-game hitting streak from July 29-Aug. 10, batting .306 (11-36) with 3 doubles, a triple and 5 RBI...Hit 2 home runs vs. Orem on July 18...Hit his first career grand slam on July 11 @ Orem. June 3, 2015 Lehigh Valley IronPigs released C John Hester. May 8, 2015 C John Hester assigned to Lehigh Valley IronPigs from Reading Fightin Phils. May 5, 2015 C John Hester assigned to Reading Fightin Phils from Lehigh Valley IronPigs. November 13, 2014 C John Hester assigned to Lehigh Valley IronPigs. October 20, 2014 Philadelphia Phillies signed free agent C John Hester to a minor league contract and invited him to spring training. September 30, 2014 C John Hester elected free agency. May 31, 2014 Salt Lake Bees activated C John Hester from the 7-day disabled list. March 12, 2014 C John Hester assigned to Los Angeles Angels. 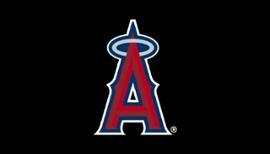 March 8, 2014 Los Angeles Angels sent C John Hester outright to Salt Lake Bees. September 9, 2013 Los Angeles Angels recalled C John Hester from Salt Lake Bees. March 30, 2013 Los Angeles Angels optioned John Hester to Salt Lake Bees. September 1, 2012 Los Angeles Angels recalled John Hester from Salt Lake Bees. 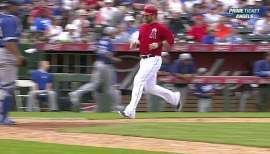 July 28, 2012 Los Angeles Angels optioned John Hester to Salt Lake Bees. May 11, 2012 Los Angeles Angels selected the contract of John Hester from Salt Lake Bees. 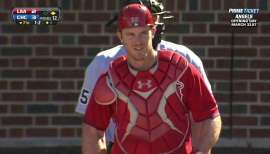 April 23, 2012 John Hester assigned to Salt Lake Bees from Los Angeles Angels. April 22, 2012 Los Angeles Angels signed free agent John Hester. April 21, 2012 Los Angeles Angels signed free agent John Hester. April 20, 2012 Norfolk Tides released C John Hester. January 30, 2012 Baltimore Orioles invited non-roster C John Hester to spring training. May 2, 2011 Norfolk Tides activated C John Hester. April 30, 2011 Arizona Diamondbacks traded John Hester to Baltimore Orioles. March 21, 2011 Arizona Diamondbacks sent John Hester outright to Reno Aces. March 13, 2011 Arizona Diamondbacks optioned John Hester to Reno Aces. October 23, 2010 C John Hester assigned to Gigantes del Cibao. July 31, 2010 Arizona Diamondbacks recalled John Hester from Reno Aces. June 12, 2010 Arizona Diamondbacks optioned John Hester to Reno Aces. April 11, 2010 Arizona Diamondbacks recalled John Hester from Reno Aces. April 3, 2010 Arizona Diamondbacks optioned John Hester to Reno Aces. August 28, 2009 Arizona Diamondbacks selected the contract of John Hester from Reno Aces. April 9, 2009 John Hester assigned to Reno Aces from Mobile BayBears.